In July, David Kappos, Director of the U.S. Patent and Trademark Office, announced expansion plans for the USPTO that would involve opening satellite offices in Denver, Dallas, and San Francisco. These coupled with the previously announced office in Detroit would draw on a diverse new talent pool for future examiners. Last year’s “America Invents Act” that was signed into law in September 2011 has paved the way for a dramatically different intellectual property system to emerge. Perhaps the biggest change is that the organization now has control over its own budget, a key factor driving the expansion process. Just in the past year the patent backlog has been reduced from over 700,000 to 640,000. With plans to expand each of the satellite offices to 1,000 employees over time, the USPTO plans to whittle away this enormous patent logjam and create a response time that’s far better aligned with the industries it’s designed to support. So how will businesses react if patents are granted in 3 months instead of what currently takes over 3 years? And what will it look like if patents are as easy to license as music and photographs. Here are four key trends that will drive the world of intellectual property over the coming years. Before the patent, trademark, and copyright systems were created, all intellectual property was a trade secret. As a result, businesses were enormously tight-lipped about anything that gave them a competitive edge. In fact, many of these valuable trade secrets died along with the founders of the company because they had no good way for passing this information from one generation to the next. When Thomas Jefferson came along, he wanted to create a system that encouraged innovation, and the original patent system was designed to give inventors a protected period of time to make money off their inventions in exchange for making the information public. The first Patent Act in the U.S. was passed on April 10, 1790 and the first three members of the newly established Patent Commission were Secretary of State Thomas Jefferson, Secretary of War Henry Knox, and Attorney General Edmund Randolph. The first patent was granted four months later in July 1790 to Samuel Hopkins of Philadelphia for a method of producing potash, a critical ingredient used in making soap, glass, and gunpowder. Even though other patent systems predated it, and over 160 intellectual property systems are now in place around the world, the U.S. system has emerged as the preeminent one for filing patents. According to 2010 statistics from the World Intellectual Property Organization (WIPO) there are roughly 2 million patents applied for each year around the world and the U.S. filings account for roughly 25% or 500,000 of that total. China is moving up quickly with approximately 400,000 filings annually and is set to surpass the U.S. very soon. Over half of the U.S. filings are from people in other countries, but in China, only 25% come from abroad. Using these statistics to set the stage, here are four key trends I see happening over the coming years. After gaining a reputation for being the Wild West of product rip-offs, China has been working hard to legitimize both their reputation and standing in the intellectual property arena. They want to assure businesses that its safe to have their products manufactured in China, and that their court system is a fair forum for handling disputes. Clearly their efforts have been paying off as total patent filings in China have mushroomed from 51,906 in 2000 to 391,177 in 2010. During that same time, U.S. patent filings have grown from 295,895 in 2000 to 490,226 in 2010. The legal system in China for handling patent disputes is comparatively new as well. More patents means more disputes, and the legal community is necessarily growing along with the number of patents issued. Having a less mature system, however, could work in China’s favor, because the barnacles of bureaucracy haven’t yet stagnated the efficiencies of the system. Part and parcel to the appeal of the U.S. patent system has been the fact that the U.S. still has the world’s largest economy. With China’s economy growing rapidly, that could also change very soon. So does a better system trump the allure of a bigger economy? That is something we’re about to find out. Here are a few unusual variables that could make all the difference. If patents were issued in 3 month instead of the current 3.5 years, how would that affect business thinking? Many large corporations actually prefer a slower patent process because it extends the value of the patent over time. Since most licensing activity occurs in the last 25%-50% of a patent’s lifecycle, with its value often escalating towards the final years of protection, it becomes highly beneficial to have the protection period pushed as far into the future as possible. But for a patent that is instantly licensable, inventors prefer the shortest possible time for issuance. So if the average wait time for patents were reduced to 3 months, it would dramatically shift business strategies. In fast moving industries like high tech, biotech, and nanotech, businesses will very likely file far more patents. Startup companies wanting to improve their value in the eyes of investors will also file far more patents. In virtually every scenario, the overall number of patent filings ratchets up quickly when the wait-time is reduced. Everyone who downloads a new piece of software receives a user license. Downloading music, TV shows, and movies, customers receive a specific license that defines how and when they can use the products. Even for businesses, licensing music, photos, or art is a relatively standardized process. But when it comes to licensing a patent, we currently have no standardized ways for making that kind of transaction. When someone receives a patent, it does not give him or her the right to practice their own invention. Rather, patents only give inventors the right to exclude others. For this reason, many patents are used more as a tool of denial to prevent competitors from infringing on their profit margins. While virtually all musicians want to license their music, that is not true for businesses who are leveraging their patents for the benefit of one specific company. However, that could soon change as licensing organizations gain enough clout to start imposing standards on an industry that, until now, has worked aggressively to oppose them. More on this below in the Patent Troll Scenario. For an inventor, a patent is only as valuable as their willingness to enforce it. This gives large corporations with deep pockets a distinct advantage, but their deep pockets also make them a more likely target for those claiming intellectual property violations. Over the past couple decades a new breed of holding company has materialized that buys up existing patents and use a variety of legal strategies to enforce the rights of their patent portfolio. live under bridges, but often have very deep pockets. 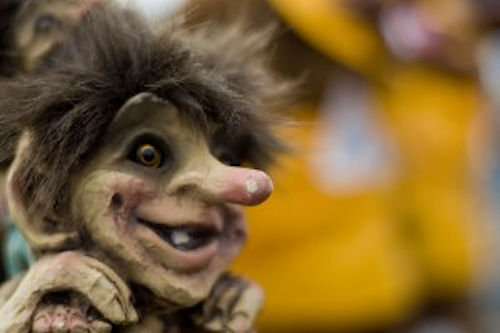 These holding companies have been given the pejorative industry moniker of Patent Trolls. While most people see little value in companies that don’t produce a product, and only siphons money from those who do, they may indeed play a bigger role, with a more noble purpose, in the future. Scenario: An ingenious new kind of patent holding company is created that offers both to license patents and provide legal protection for the patent holders. Their business model is based on two key provisions. The first is a standardized process for licensing patents and the second is a legal protection service that inventors pay a small monthly fee for (under $100 per month). Small companies and individual inventors will be attracted to this type of offering because it increases the potential for securing a licensing agreement and, at the same time, provides a form of legal insurance that can be brought into play whenever something goes wrong such as patent infringement or flagrant knockoffs. Over the next 5-10 years these holding companies extend their reach to the point where the larger ones represent upwards of 100,000 patents. At this point they will have a huge amount of clout and influence in the industry, rivaling even the largest corporations. Is this a realistic scenario? Will it be beneficial for some of the existing holding companies to morph into this type of business model? What will the long-term effect of this shift have on the future of intellectual property? A few years ago I was involved in a conversation with some patent attorneys over the question of whether someone could patent a smell. The conclusion they reached was “yes,” as long as there was some system in place for defining and measuring smells. As with other areas of business and industry, our systems have to morph and change to match the realities of today’s world. The primary charter of an intellectual property system is to promote innovation. As soon as it becomes more of a deterrent that an enabling force, changes need to be made. As a society, we are blinded by what we see and cannot imagine the opportunities that are yet to materialize. When we ask the question, “What’s missing?” we are left with only vague assumptions about what might be a good fit for the white spaces surrounding the world we live in. Intellectual property is all about the people who are good at visualizing all of the things that will fit into those empty gaps. These are the people who are creating our future. Some are crazy misfits, rebels, and troublemakers. They live a life of passion and dreams, driven by a desire to make our world a better place. In tough economic times, inventors bring hope and inspiration to everyone they touch and have the potential to bring exciting new jobs to a world that desperately needs them. To me they are my heroes, and we need to create systems that continue to inspire and enable the crazy part in all of us. NOTE: On October 13th, the DaVinci Institute will be hosting the 8th annual DaVinci Inventor Showcase at the Denver Merchandise Mart. It will be an amazing day for all who attend.